All plants need fertilizer to live. In traditional gardening and farming, plants get their nutrients from soil and additive such as compost, manure, and chemical fertilizers. In hydroponics, plants are not grown in soil so nutrients must be delivered directly through the solution they are watered with. These nutrients are divided into two categories: macronutrients and micronutrients. Macronutrients are those that plants need in large amounts, including carbon, phosphorous, hydrogen, nitrogen, oxygen, sulfur, potassium, magnesium, and calcium. Micronutrients are needed in tiny amounts but are essential. These include zinc, nickel, boron, copper, iron, manganese, molybdenum, boron, and chlorine. Without these essential elements, plants are unable to build molecules, undergo enzymatic reactions, and complete the life cycle. 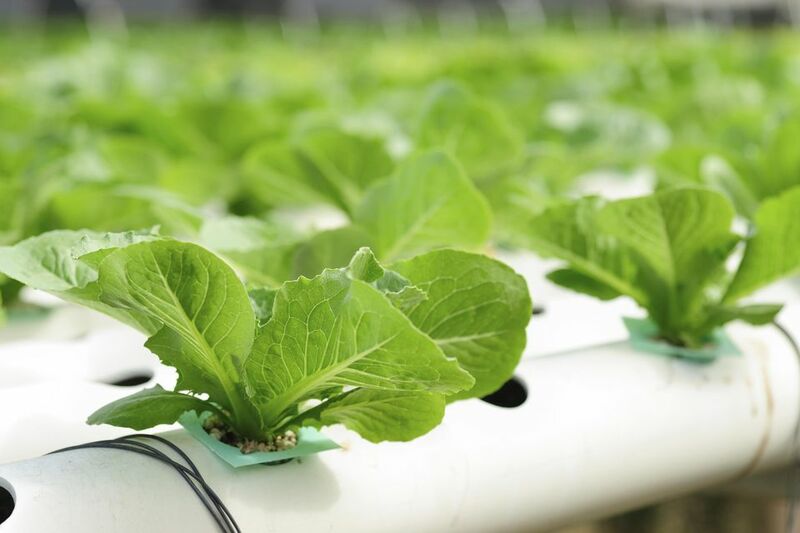 For hydroponic gardeners, this means that without proper nutrients they cannot produce fruit or vegetables or that what they do produce would be sub par. PH is also an essential element to consider. The pH value of a nutrient solution has a huge impact on the amount of nutrition a plant can absorb. It is essential to check pH levels on a regular basis, preferably daily, even if you are careful about measuring and mixing your nutrient solution correctly. Different plants have slightly different requirements for pH value and nutrient concentration. If you are going to be growing a large variety of plants in your system, make sure to research the requirements for each so that you can group them in terms of their needs. A single plant’s needs may also change under different environmental conditions, such as weather, season, and temperature. This isn’t an issue for indoor setups that have a controlled environment, but it is something to consider if your system is located outside. You can either buy a pre-made nutrient solution, or you can formulate your own. Small farms and hobbyists generally purchase pre-mixed liquid or powder concentrates that are added to water. Large-scale farms generally mix their own to the specific needs of whatever they are growing, using bulk concentrates of the individual chemical compounds. Pre-mixed concentrates usually come in two separate bottles, one for macronutrients and one for micronutrients. They are separated because some elements are incompatible with each other when concentrated and cause precipitation when they are combined. Once diluted, they do not form precipitates and can be used together without issue. Some manufacturers have managed to hold the incompatible nutrients in a chemical complex so that they do not mix –- these are sold in a single pack. For hydroponics, twin or triple pack solutions are usually the best options. They are simple to mix and only require a few materials: a container to mix them in, a dedicated measuring cup, and a stirrer. If your mixing container has a lid, you don’t even need a stirrer, as you can just shake it up. The measurement is usually 3.5 mL of each concentrate per liter. Make sure to double-check the mixing instructions on the bottle, though. Depending on the size of your system, for example, with a large scale Ebb and Flow setup, you may want to mix your nutrient solution in very large quantities. Drums that are 55 gallons make ideal mixing buckets for large systems and can store enough nutrient solution to replenish your reservoir for weeks. For smaller systems, or if you do not have space for a large mixing container, it is perfectly okay to mix your solution on an as-needed basis. After mixing your solution, let it sit for a few minutes and settle, then check the pH and adjust as necessary. Starting off with a perfect pH will make it easier to maintain. You can even measure the number of drops of pH Up or pH Down needed every time you mix your solution, and just add that amount to the water before mixing in your concentrate. Can Epsom Salts Help Your Garden Thrive?